Fire Protection - Holz100 Canada Inc.
Holz100 was able to take the static load capacity for 150 minutes of flame treatment at 900 - 1000 ° C. Thus, Holz100 far surpasses any fire protection standard: 3-5 times better fire safety than reinforced concrete, brick ceilings and stud structures. 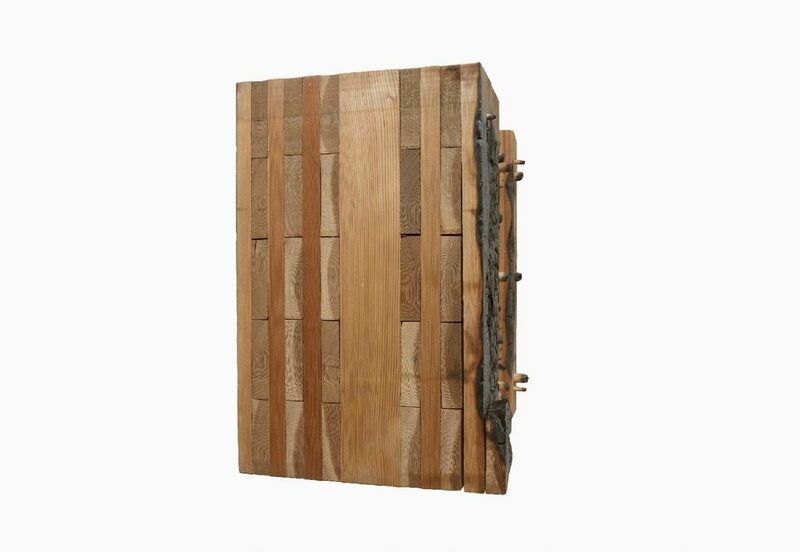 Holz100 is fire resistant up to REI 120 min. or F 90. Fire pattern of the 36cm Holz100 wall. The static-carrying core remains unharmed even after 150 minutes of flaming. ​Saying that a solid wood house in case of fire is safer than other houses sounds like a contradiction for many people. But wood only burns well when it is thin and lapped by air. Every scout and every fireplace owner knows this principle. If you have ever tried to burn a single thick block or trunk of solid wood, you can confirm that it does not burn but only becomes slowly charred. 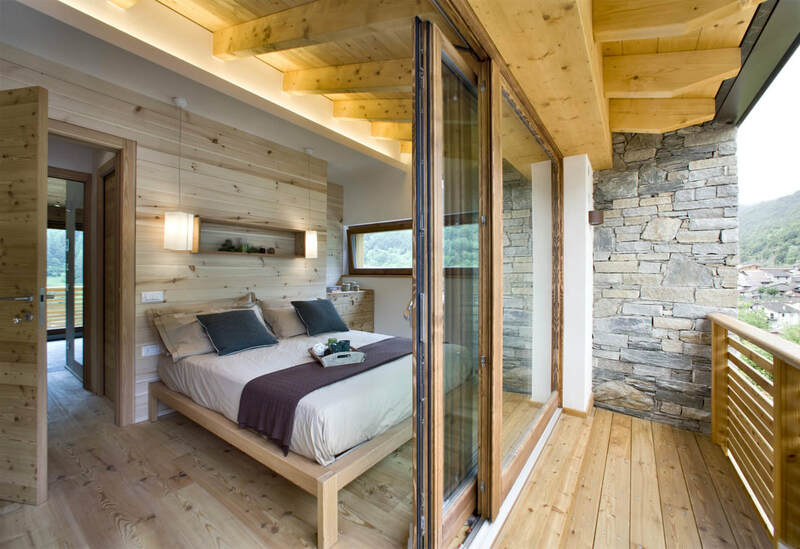 Exactly as such, a wooden block is the Holz100 solid wood wall connected in layers with wooden dowels. 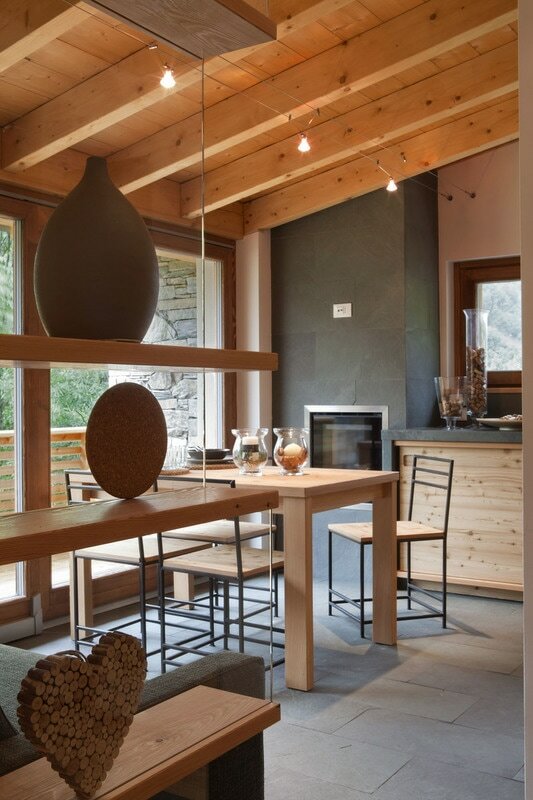 There are major differences in building materials and the biggest surprise is the Thoma system: although wood is basically a flammable material, Holz100's solid wood wall in comparison achieved better fire safety ratings than concrete and brick ceilings or the timber frame walls of standard modern prefabricated houses. The massive wall elements of the system by Thoma still provide full static load capacity and tightness even after flame treatment at 900 to 1000 ° C for up to 150 minutes. By comparison, steel and reinforced concrete are "unpredictable" in case of fire. It can locally be reached after 15 to 30 minutes temperatures of 100 to 600 ° C on the "unburned" side. There is a risk that lines verschmoren and ignite furnishings. By annealing iron armor, the building can suddenly collapse. When Holz100 were tested at the side facing away from the fireplace, after 120 minutes only a maximum of 1.8 ° C heating measured. Even with the greatest heat exposure, this wall remains statically fully sustainable for hours. With reliable wood burning is calculable, the charring of the surface additionally reduces the burning speed. ​While flame testing reinforced concrete walls, the cold side of the wall (which was not directly exposed to the flame) was showing in some areas a +400 degrees Celsius temperature rise after only 30 minutes. 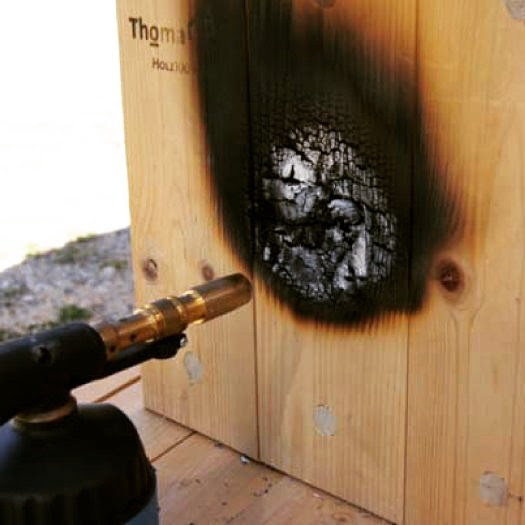 This happens because the reinforcement iron inside the concrete turns glowing hot and conducts the heat rapidly throughout the whole wall element.